Tyler loved to play all sports as a kid. Once adulthood hit and the opportunity for organized, competitive team sports waned, he fell into distance running. Living in New York City at the time, he started entering races, joining New York Road Runners and developing a love for the solitude and mental challenge of running. Half marathons became his distance of choice, but also ran 5Ks, 10Ks and even the New York City Marathon. But he wasn’t getting any fitter despite the many hours and miles he was putting in. After moving to Minnesota, Tyler’s wife, Jessica, started at CrossFit Woodbury and became hooked. “I was intimidated at first. I could run forever, but I knew I couldn’t lift a thing,” he remembers. 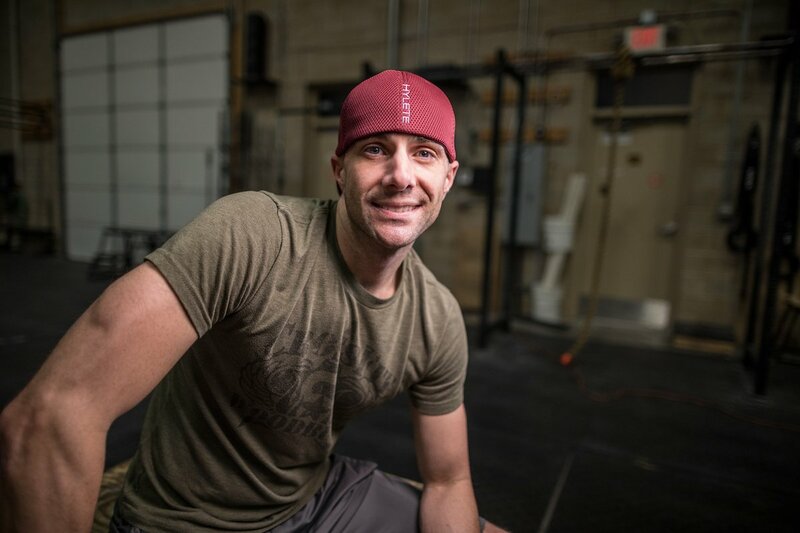 “I was nervous that I wasn’t strong enough for CrossFit.” After a few months – and after seeing what CrossFit Woodbury did for Jessica – Tyler tried the free intro class one Saturday morning, decided to join CrossFit Woodbury and hasn’t looked back since. The supportive community allowed him to consistently meet goals and celebrate small victories along the way.